Rnd 4-6) Knit 2, purl 2 around fasten off and weave in ends. Those are great - guess I have to learn to knit now - LOL!! Currently I am making my fingerless gloves out of repurposed wool sweaters, but I still want to learn to knit. You can do it! no worries! Hi! This a great pattern! Did you ever get a chance to measure the gauge? I am using a different yarn and want to make sure it matches up! Thanks so much! I placed a link on my blog to yours. 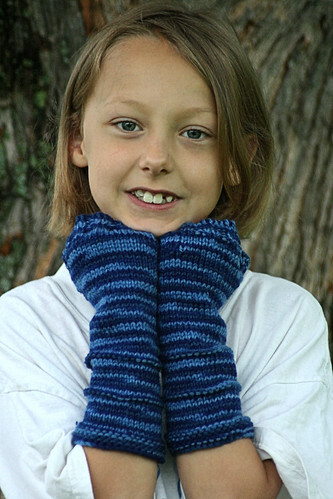 This pattern was wonderful to knit! Thank you for sharing!! This is a great pattern!! I love it. I made these for my girls and they love them. Thanks so much! Was wondering if you could give me stitch amounts for an adult version...I love the way these look. 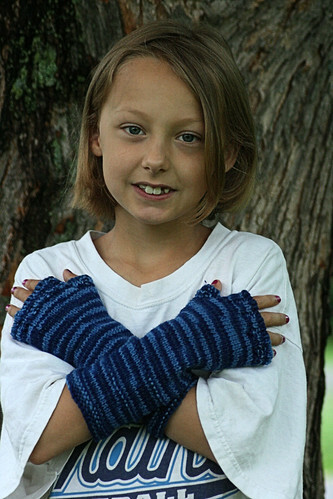 I have never made fingerless gloves, these don't look too hard but just need to figure size. This is so cool! I am excited to knit this! Take a Hike.... In Maine! I am a SAHM with a lot of hobbies. I love photography and making things with my hands. I am wife to a Coca Cola Truck driver/volunteer firefighter and mom to three beautiful girls. We love spending time outdoors! if you would like to contact me about a pattern and you are not on ravelry please use this. jaymegliv3@yahoo.com I will be more than happy to help with any questions or fix mistakes you might have found.... I make lots!